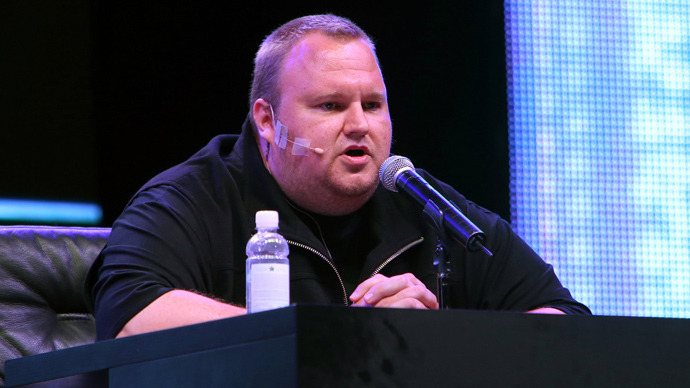 Aaron Swartz became a political target, and that is what led to his tragic death, believes Kim Dotcom, the founder of the now-defunct file-storage site Megaupload, in a feature interview with RT. The web tycoon has just launched a new site Mega. "There is no reasonable cause behind going after a young genius like him in the fashion they did," says Dotcom. 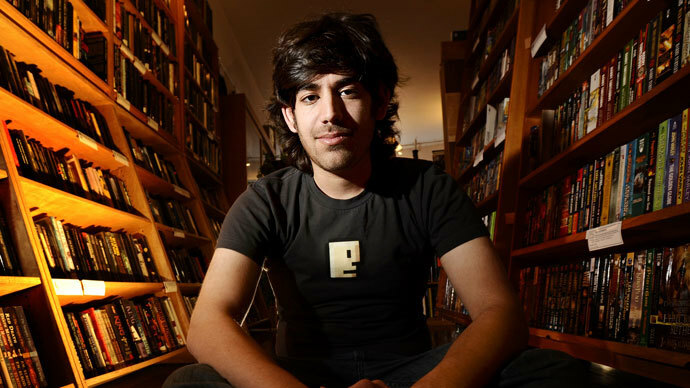 Swartz had been instrumental in designing software that aimed to make the internet easy and open for everyone, and also co-founded both Reddit.com and Demand Progress — one of the most visited sites on the web and a highly touted activism organization, respectively. 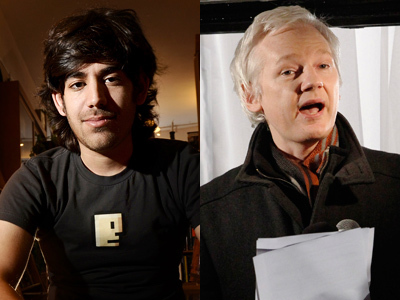 Swartz's death in suicide on January 11 has resonated in the media across the world. It became known that in 2011, US federal prosecutors charged Swartz with a series of counts under the Computer Fraud and Abuse Act, crimes that could have sent him away to prison for upwards of 35 years if convicted. Swartz, said the government, entered a building at the Massachusetts Institute of Technology and downloaded millions of academic and scholarly papers presumably with the intent of distributing them for free. The case is believed to have provoked Swartz's severe depression. In light of this, his family and friends believe it was not strictly suicide, but rather he was killed by the government. 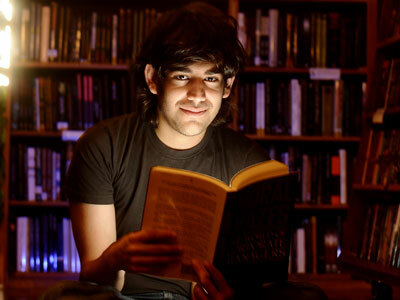 Revelations came forward Tuesday that Swartz may have had connections to Wikileaks. RT’s Andrew Blake who has investigated a number of stories on internet freedom explained that this should not come as a surprise. 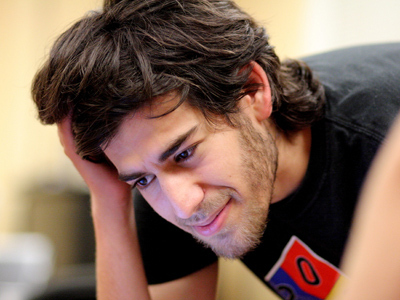 “It really shouldn’t come as that much of a surprise when you look at how much pressure that was applied Aaron Swartz from the department of justice, in the last few years, how well they targeted him and singled him out, it should come as no surprise that there may or may not have been a connection between him and Wikileaks,” said Blake. To learn more about forces that pushed Aaron towards his fate, watch RT's extensive interview with Kim Dotcom, who is himself now fighting extradition to the US over piracy charges. His new site Mega, allows users to upload large files to be shared with others around the globe. The main difference this time around, though, is Mega relies on heavy-duty encryption in order to protect the privacy of its customers. Full interview to be aired in Abby Martin's ‘Breaking the Set’ on Friday. An image grab taken from RT video.